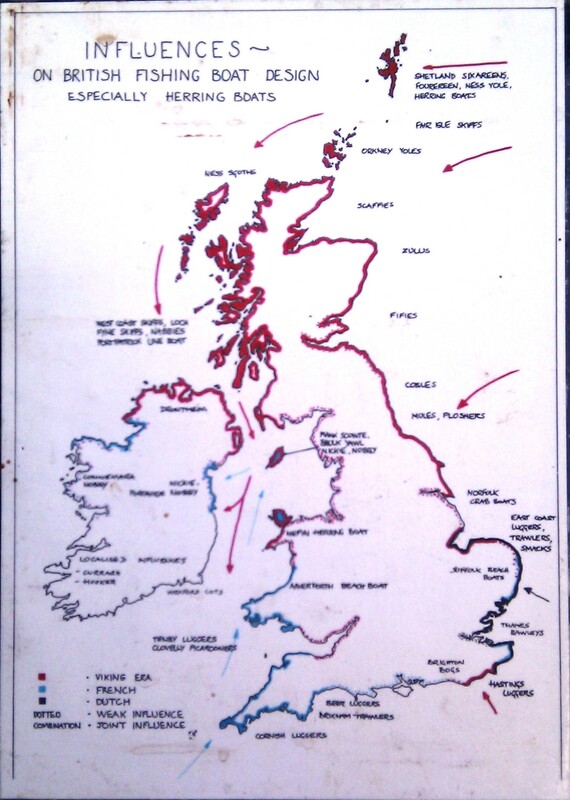 I spotted this fascinating map drawn by Kipperman Mike Smylie on his stall at the Nordhorn Fest der Kanäle this weekend and wanted to share it – it’s here with Mike’s permission. 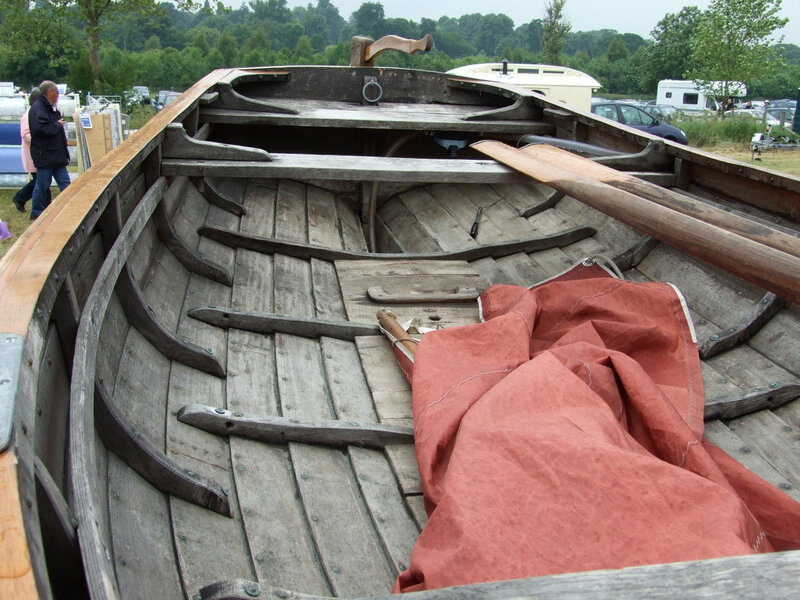 It shows how Viking, French and Dutch influences turn up in traditional fishing vessels. 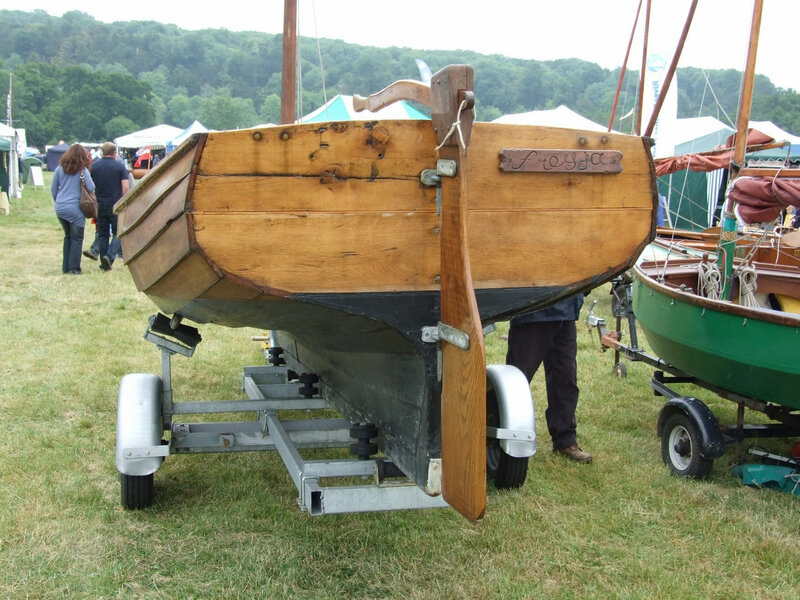 The past few weeks have been an amazing time for interesting boats on BBC Television – and the latest sighting, racing Faroese rowing boats on an episode in the Coast series, is available on the BBC iPlayer. 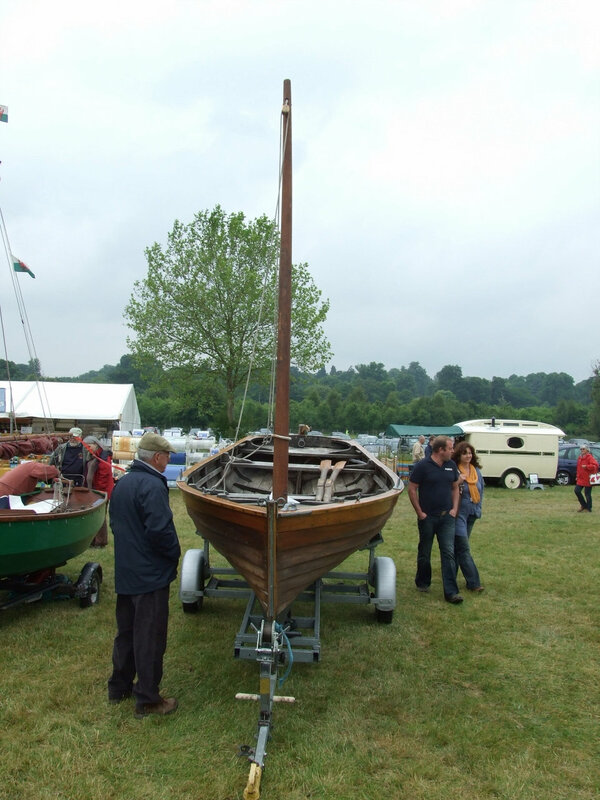 I can hardly believe I’ve beaten the usually alert Chris Partridge of Rowing for Pleasure to posting about this, but the programme shows the interesting and elegant boats in action and includes an interview with a group of attractive if powerfully developed Faroese women rowers. It’s noticeable that their English is excellent – and we’re told that they learn the language using the Internet. Way up north of Scotland, Orkney and even Shetland, the Faroes are remote but these days far from isolated, as the presenter points out. 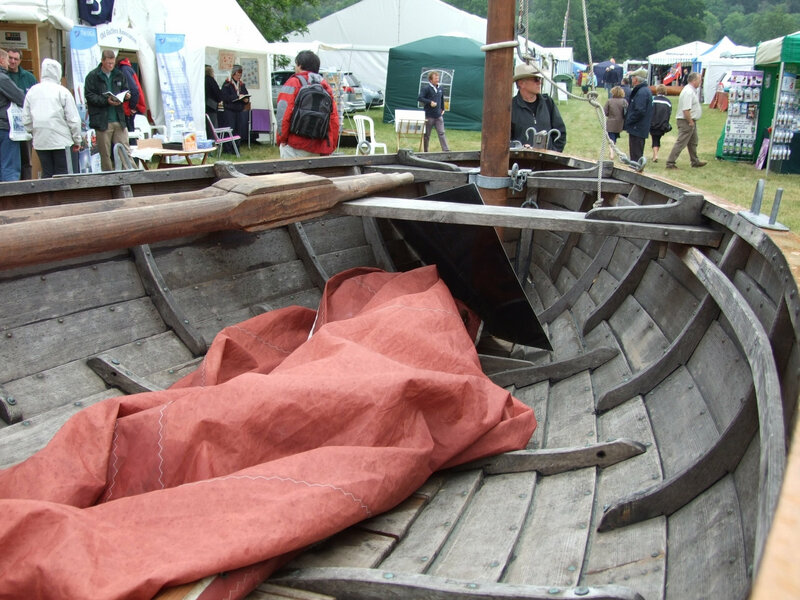 Like their tall, blonde rowers, the Faroese craft are clearly the result of the Viking era, and even the modern fishing boats in the harbour show a close kinship to Viking ships. 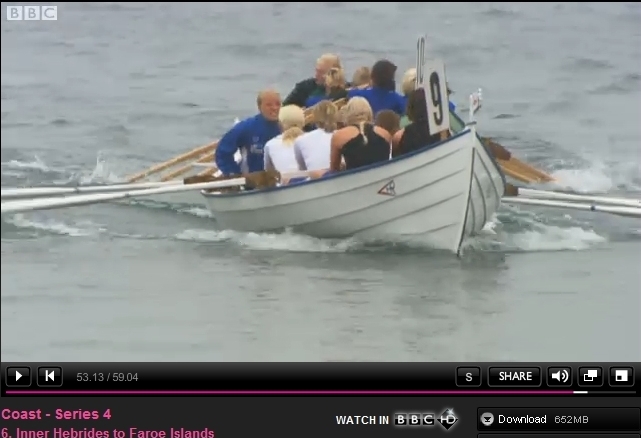 Click here for a photo of a Faroese women’s rowing team taking part in a race. 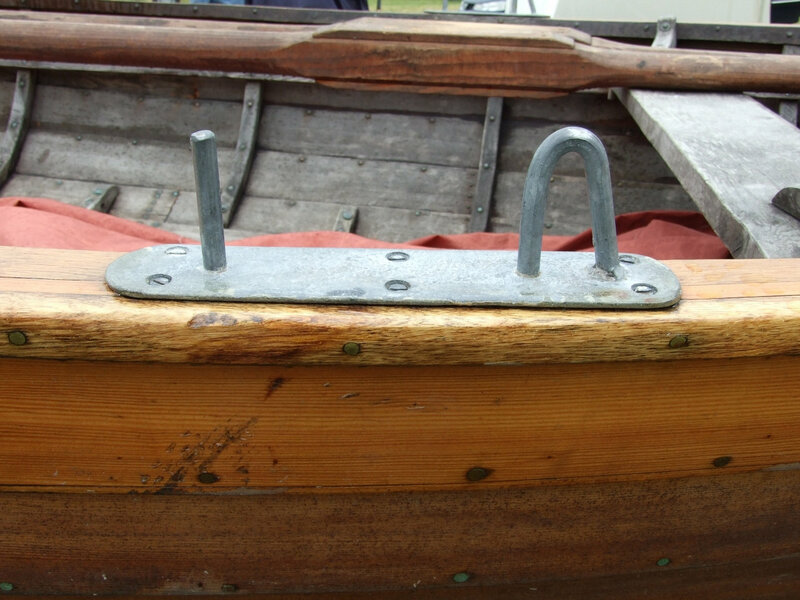 Click here for a Flickr gallery of Faroese boats. 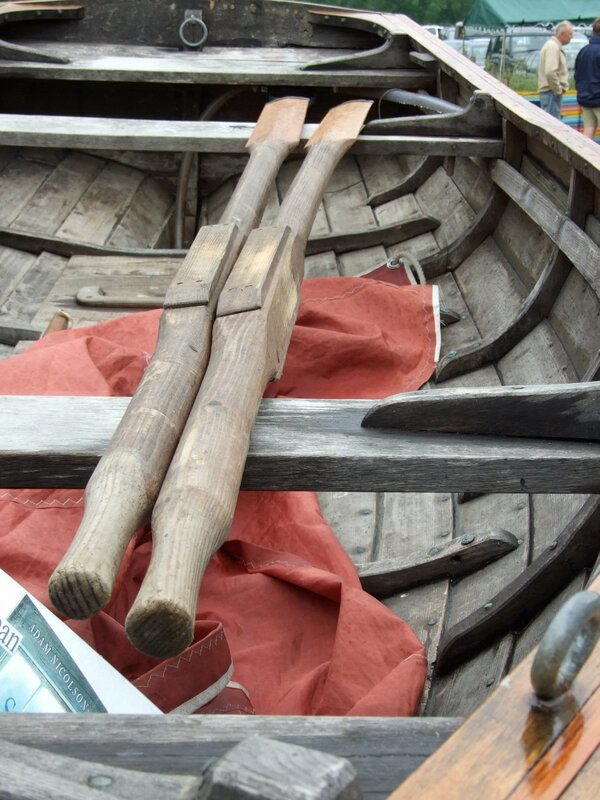 Click here for still more photos of Faroese boats on the Wikimedia Commons.